Over the course of history, yellow fever has paralyzed governments, halted commerce, quarantined cities, moved the U.S. capital, and altered the outcome of wars. During a single summer in Memphis alone, it cost more lives than the Chicago fire, the San Francisco earthquake, and the Johnstown flood combined. In 1900, the U.S. sent three doctors to Cuba to discover how yellow fever was spread. There, they launched one of history's most controversial human studies. 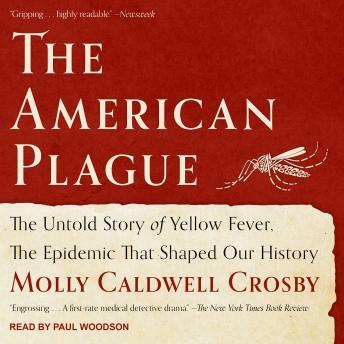 Compelling and terrifying, The American Plague depicts the story of yellow fever and its reign in this country-and in Africa, where even today it strikes thousands every year. With 'arresting tales of heroism,' it is a story as much about the nature of human beings as it is about the nature of disease.